Back in May we reported that major retailer, Walmart, would begin selling the iPad at some point in 2010. Since then Target has begun selling the iPad through their retail stores and rumors of an imminent iPad launch at Walmart have recently emerged. Today, MacRumors reports that Walmart will begin selling iPads very soon and Walmart corporate is already feeding instructions to store managers. 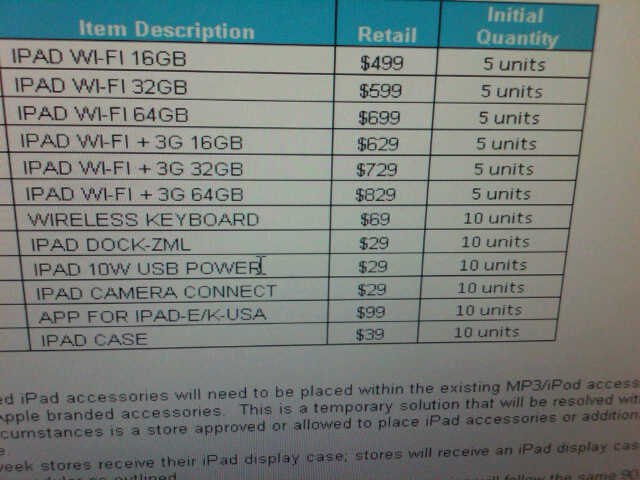 The report also includes a spy shot of a Walmart store’s iPad and iPad accessory launch inventory. The image shows that Walmart will be carrying all six models of the iPad along with all the Apple-branded accessories including the Apple Wireless Keyboard and the AppleCare protection plan. Following Target’s iPad launch, Amazon began selling the iPad through their online store earlier this week. Apple is clearly expanded their iPad distribution with the help of major online retailers and thousands of physical retail locations across the United States. Update: MacRumors adds that Walmart’s iPad launch will occur next week and iPads should be at 1000 Walmart retail locations by October’s end. 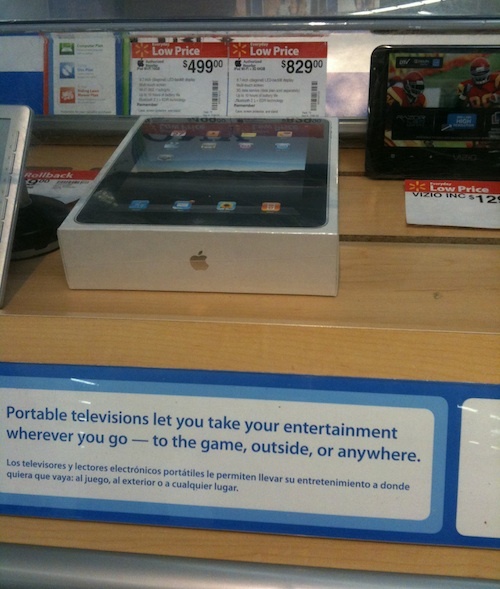 Update: iPads are already hitting Walmart shelves – This makes it official.